The new Endeavour features a revamped design that sees it getting more rounded in shape. The styling makeover sees it getting a catchy chrome grille, projector headlamps, rectangular fog lamps, bumpers with scuff plates extending as silver trims, ORVMs with integrated turn indicators, side steps, contrast roof rails, wraparound tail lamps, a roof-mounted spoiler, and alloy wheels. 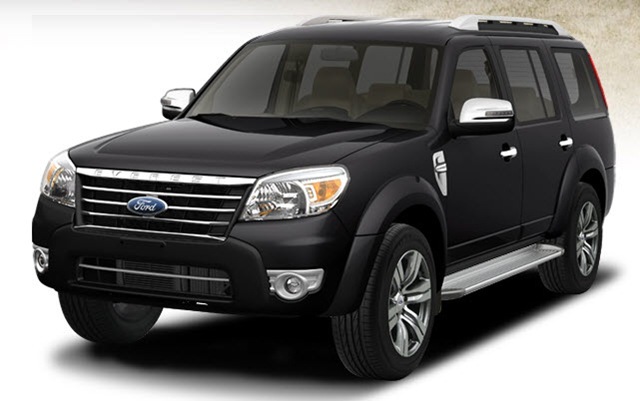 In terms of standard features, the Endeavour comes equipped with dual airbags, ABS, traction control, hill-start assist, Ford MyKey, eight-way power adjustable front seats, Ford SYNC infotainment system with touchscreen and voice control, CD/MP3 player, Bluetooth and aux connectivity with steering mounted controls, dual-zone climate control, rear parking sensors, powered tailgate and cruise control. In the Indian market, the Ford Endeavour will lock horns with the likes of the Toyota Fortuner, Mitsubishi Pajero Sport, and the recently launched Chevrolet Trailblazer. Copyright © 2019 Car Sale India. All rights reserved.